In the weeks leading up to my recent trip to Los Angeles, I spotted neighborhood shopping guides in several magazines (e.g., Blueprint, Lucky). There is also the helpful LA shopping guide here on decor8 (right column). But when I actually got down there ? in addition to the usual design store suspects (yes, Weego Home is definitely worth a visit!) ? I was delighted to discover great home products in a few unexpected places. This floral design studio has been around since the early ?90s, but recently moved to Venice?s Abbot Kinney. 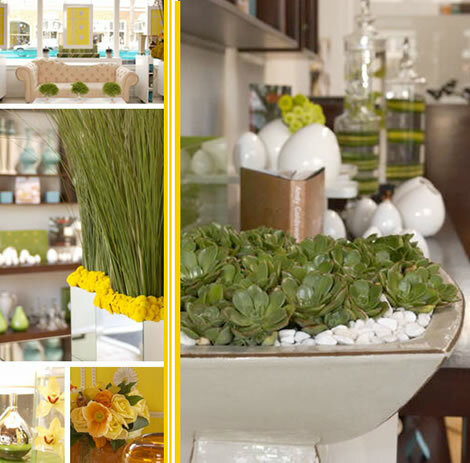 The expanded space includes a storefront that, as summed up on the Floralart web site, offers ?accessories that related to home, entertaining and the art of giving.? I was so taken by the etched orchid stemware ? available in several variations (including red wine, white wine, cocktail). The glasses are beautifully etched with a floral motif, and range in price from $72-78 for a set of six. If new place settings are on your shopping list, the Jonathan Adler selection here may be just the thing for you. Floralart carries his Greek Key, Mod Dots and Hexagon dinnerware ($128.50 for a 16-piece set). Also catching my eye was the Aphrodite collection. 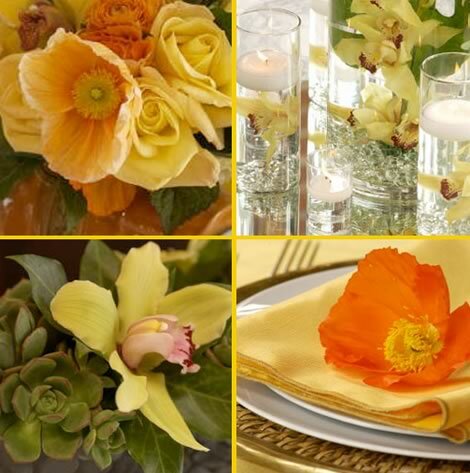 Thick, hand-cut sheets of glass encase your favorite bloom or candle. Also while on Abbot Kinney, I popped into one of my favorite tea spots. Jin Patisserie serves (and sells) Le Palais des Th?s, which are imported from France and hard to get your hands on in the U.S. 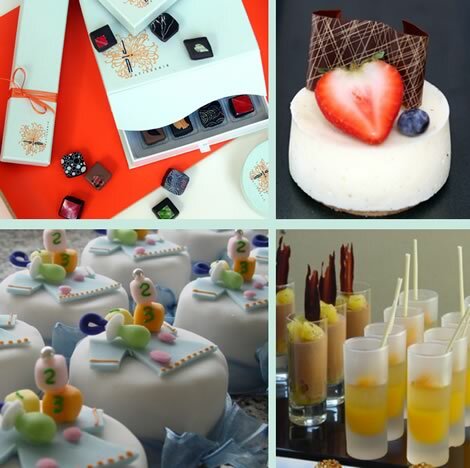 They also offer delicious sweets (chocolates, cookies, candies) and savories (sandwiches, salads). Although seating is all outdoors (there are a couple of covered tables on the porch), don?t forget to go inside the house where all of the work is done. That?s where you?ll find Jin?s boutique ? where you can buy some sweets to take home for later, and pick up lovely little tea sets. The espresso cups ($15 each) ? with patterns on the cup and saucer, as well as a leaf for a handle ? are perfect those mornings when you?ve got the time to sit and enjoy a caffeinated beverage at home. I am really a tea person, however, so I couldn?t pass up a cute porcelain sugar and creamer set from Japan. A variety of teapots, of course, are also available for purchase. Even if you?re not much of a tea of coffee drinker yourself, you can shop Jin for a great housewarming gift, and you can shop them online, too! Okay, so you think $100 is outrageous for a t-shirt. And you don?t care which celebrities shop here. But, trust me, Zero Minus Plus is not to be missed. It?s one of many independently-owned and ?operated boutiques within the large Fred Segal shopping emporium. In addition to home accessories, the store sells jewelry, handbags and pet items. I love that they stock designs from Savannah?s Working Class Studio (only a handful of West Coast stores do). There?s also a good selection of Chilewich rugs and Acme laptop bags (I carry one myself and adore it). If you?re like me and are constantly jotting down notes, be sure to check out Zero Minus Plus? great paper products. For example, anything in the No. 2 collection (notepads, disposable clipboards). So even if the clothing and beauty products here aren?t your thing, you can still walk away from Fred Segal as a satisfied customer. And, with a large parking lot adjacent to the store, you won?t even have to carry your new purchases very far. 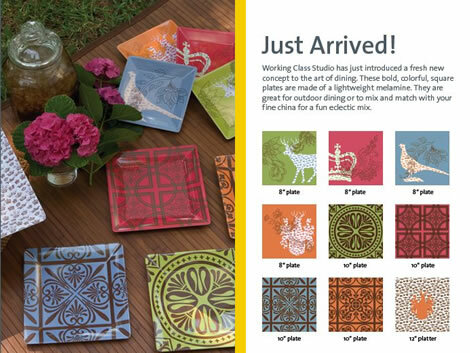 Psst: Working Class Studio just launched their new line of square melamine plates, shown above. Do you have any LA favorites to boast about? Let us know! Thanks a-m for the great write-up covering a few of your unexpected finds! Egg Press - Now Online!